Woodside hosts “Cocoa & Cookies for a Cause” - Hamilton School District. Woodside Elementary School kindergartners in Peter Dargatz’s class are raising funds for Children’s Hospital of Wisconsin by hosting “Cocoa & Cookies for a Cause” Dec. 2 from 9 a.m. to 11 a.m. 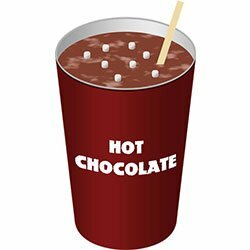 The hot chocolate stand will be located outside of Woodside Elementary School. The proceeds from this fundraiser will be added to the dollars students earn in their social studies unit which teaches the difference between wants and needs. It provides opportunities for students to earn tickets to get items they want or turn them in for real dollars to donate to Children’s Hospital. The fundraiser will continue during January as a schoolwide project led by Dargatz’s kindergarten class. All Woodside students will be challenged to take on an extra responsibility at home to earn money and to turn one of their wants into a donation. The drive will conclude with a special assembly when the school donation will be presented to a representative from the Children’s Hospital Foundation.